If your laptop has a USB-C port, Anker's 7-in-1 premium hub adapter can tap into it to add a slew of additional connections. If there's one thing every computer needs, it's more ports. Anker's 7-in-1 Premium USB-C hub adapter adds convenience and more connections to your setup all in one place, and today you can snag one from Amazon for $50, down from a list price of $70 and the lowest we've ever seen it. Anker’s sleek hub features a lineup of ports to connect all your accessories and charge your laptop simultaneously. The hub contains one SD slot, one microSD slot, and one HDMI port, along with three USB ports for expansion needs. 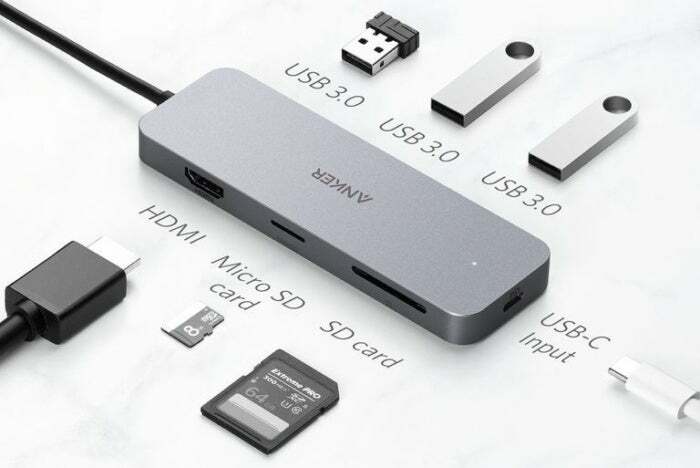 You can also charge up your USB-C-equipped laptop with a 49W charge and tap into 5Gbps transfer speeds to shift data from your notebook to other devices. We haven't tested Anker’s 7-in-1 hub, and it doesn't have a ton of reviews on Amazon yet. That said, we did review an earlier version with fewer ports, and we liked how sleek and compact it was, as well as the pass-through charging ability. And with more ports and at a big discount, the on-sale version is worth checking out. This story, "Kit out and charge up your laptop with Anker's 7-in-1 premium USB-C hub adapter for $20 off" was originally published by PCWorld.